In contrast to recent Sundays, glorious sunshine was accompanied by a mild breeze for the last of this year's West London Combine events. The undulations of the HCC114 course at Great Missenden suited those who like a lump or too. 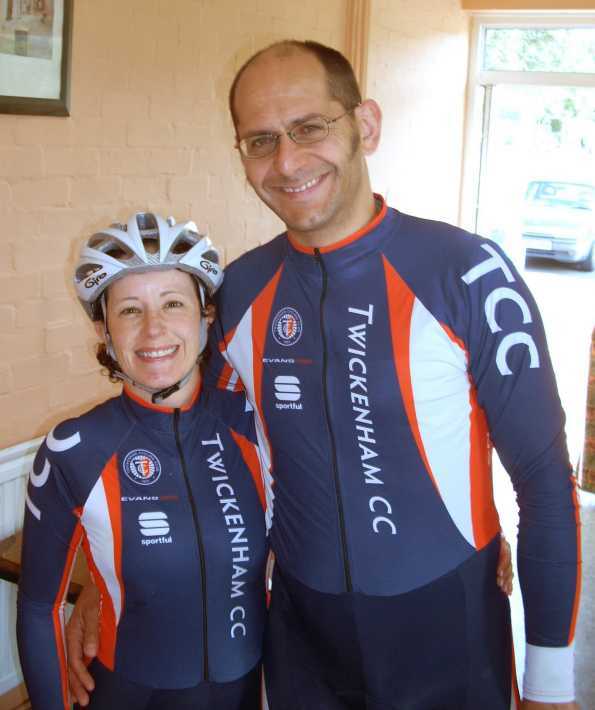 Our representation was served up in a number guises, namely a Tandem pairing, a couple of 2-ups, & 4 soloists. 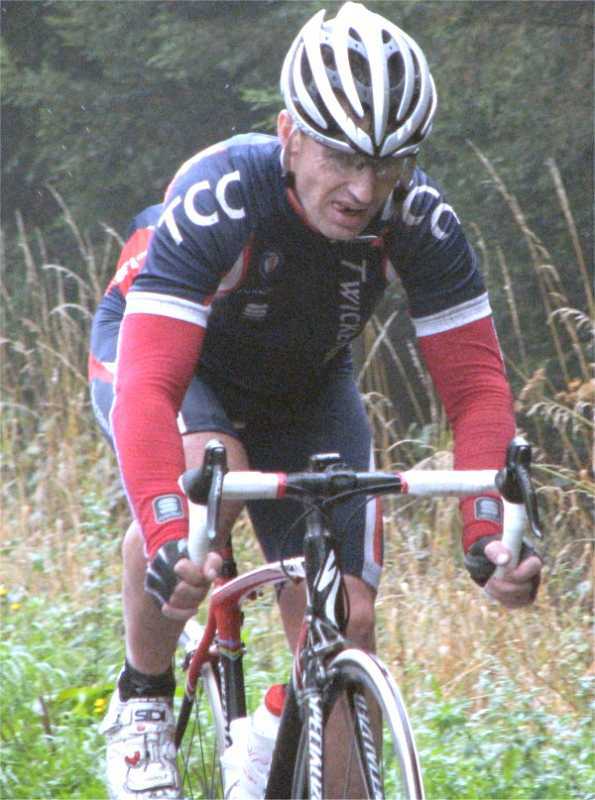 John Andrew led in the TCC contingent with a fine 1:02:02. The Dorchie Cockerell/Rob Archer duo recorded a splendid 1:03:33, followed closely by Mark Spindler's satisfying 1:04:21 (a new PB). 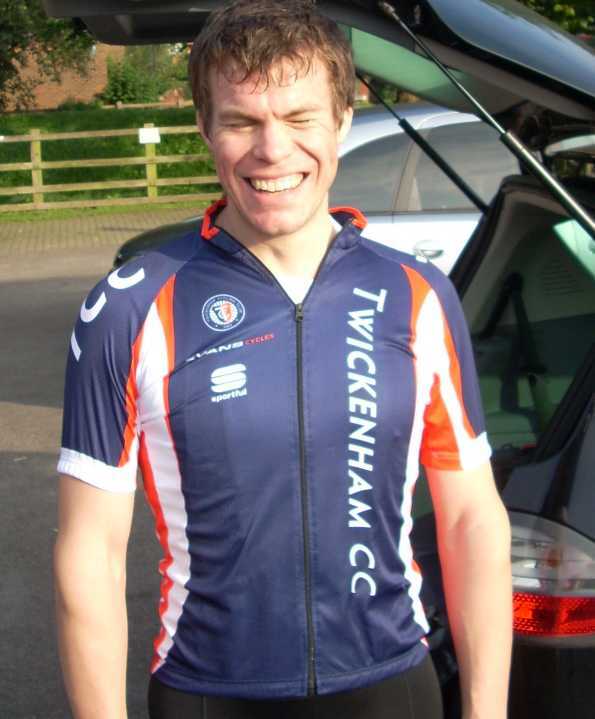 Another Personal Best was set by Darren Paice, who contributed a robust 1:09:04. 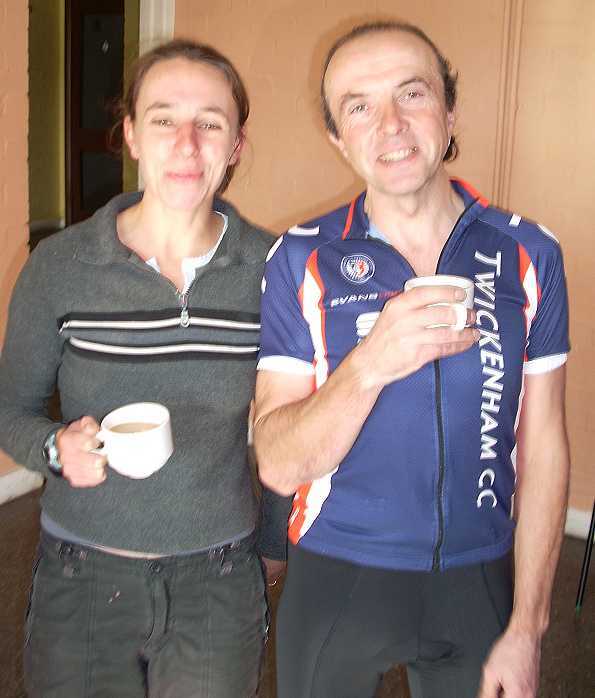 Jo Foster helped herself to a 1:16:10, and hot on her wheels were our husband & wife tandem pairing of Scherrit & Corrine Knoesen who's efforts were rewarded in the form of 1:16:33. 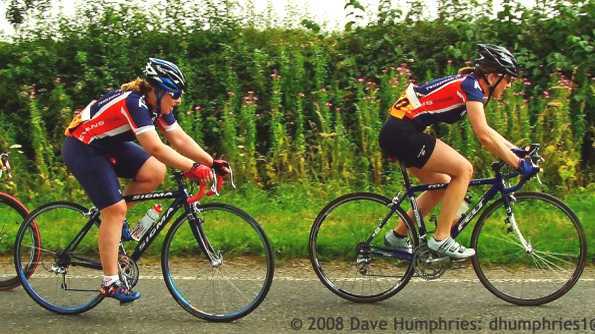 Another 2-up team in the shape of Lisa West & Denise Quinlan completed our showing with a 1:17:59. 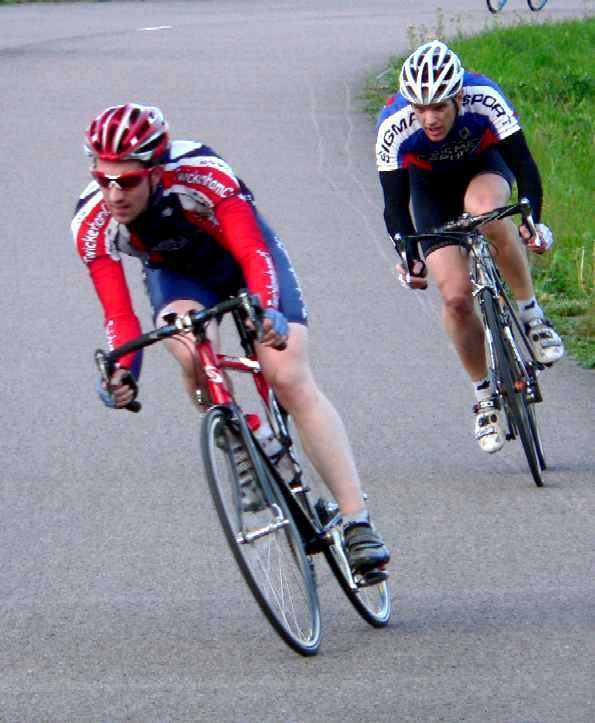 Andy Betts finished 15th at Cutmill in the 1/2/3 event, whilst Neil Bradford claimed 8th in the 3rd Cat race, and following on from his 5th place last weekend, now stands just 3 points away from gaining his 2nd cat license. Josh Worral came home in 21st position. 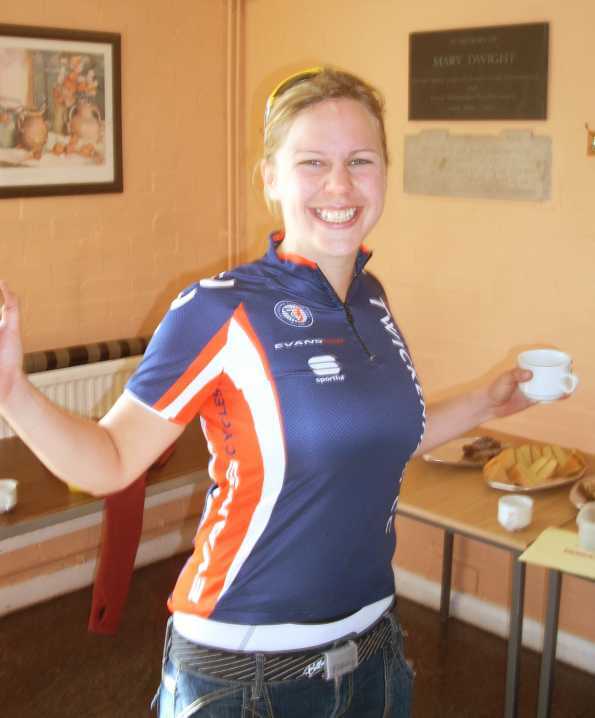 Nicki Drinkwater collected a fine 3rd place in the Women's Omnium, behind Ex-TCC member (& current National Derny Champ) Janet Birkmyre last Monday at Reading. 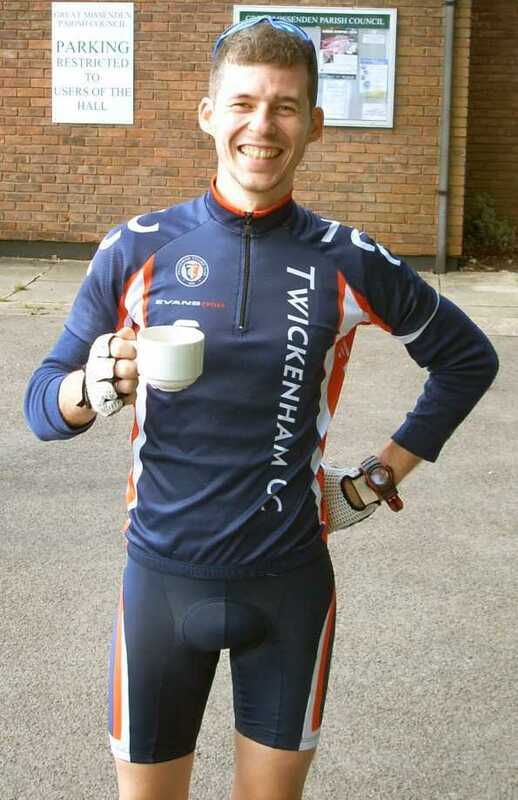 This concludes the Central Region Championships, with the previously reported triumph of Rob Drinkwater in the 500M TT and our Team Sprint's Bronze Gong! Well Done Nikki & the rest of our Trackies! 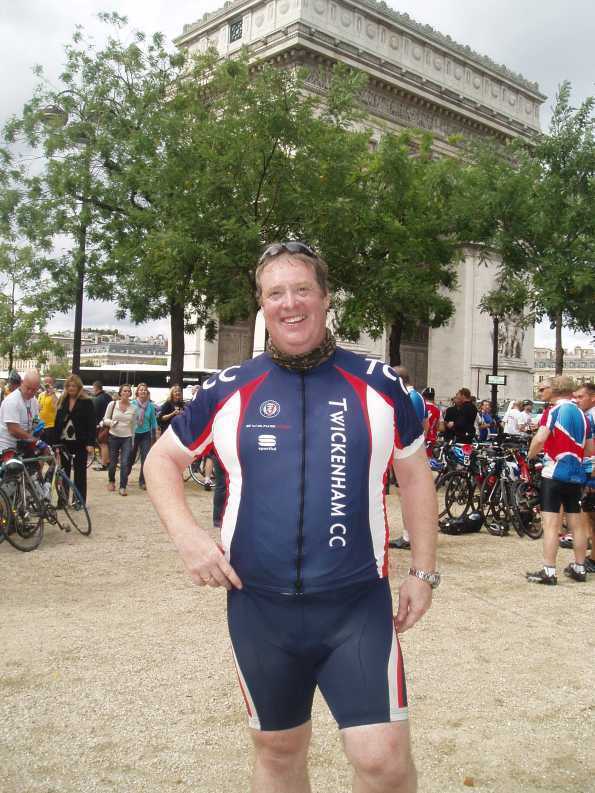 A Big Well Done to John Wilson who has just completed the PoppyBike ride from London to Paris. 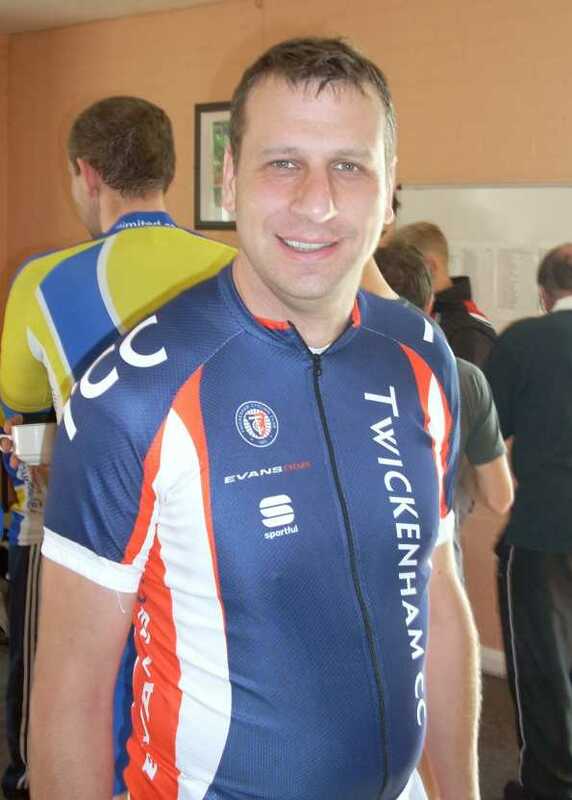 As the name of this ride suggests, it is a charity ride in favour of the Royal British Legion & I'm sure that John would be very appreciative of any contributions made via his bmycharity page. "Thought you may like to hear that I made it to Paris this weekend despite heavy rain and 30MPH headwinds. Stats off the computer: 281.14 miles, 23 hours 1 minute, Ave speed 12.2 MPH (Was hoping for nearer 14 but the wind was a killer! ), Only 1 puncture. Someone with an altitude measure said we were averaging 5,000 Ft of climbing per day – it certainly felt like it. Any Twickenham members looking for this sort of ride, I can recommend it as there is a fast group for those who want a real challenge. (Average 18 MPH – one guy did it on fixed wheel!) Full outrider support all the way from Calais with mechanics in following van. Physio and sports massage available at every main stage stop. Traffic stopped all the way including parts of the Paris périphérique and the Champs Elysée for the finish. You’ll be please to hear we also had British Cycling outriders to get us out of London safely too." 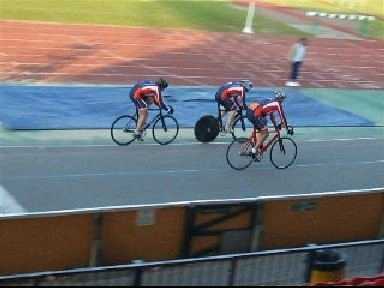 It has recently come to light that once again, Gavin Mitchell has been setting the boards alight with another success at the Friday Night Welwyn Track League on 29/08. 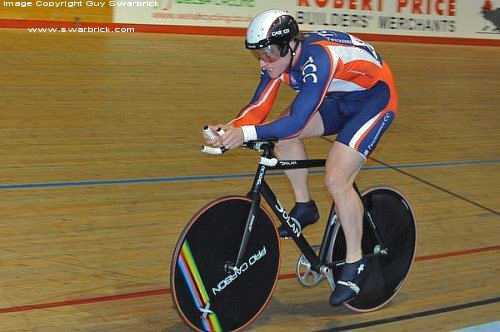 On this occasion, he claimed top spot in the Senior 'B' 10 lap scratch race. 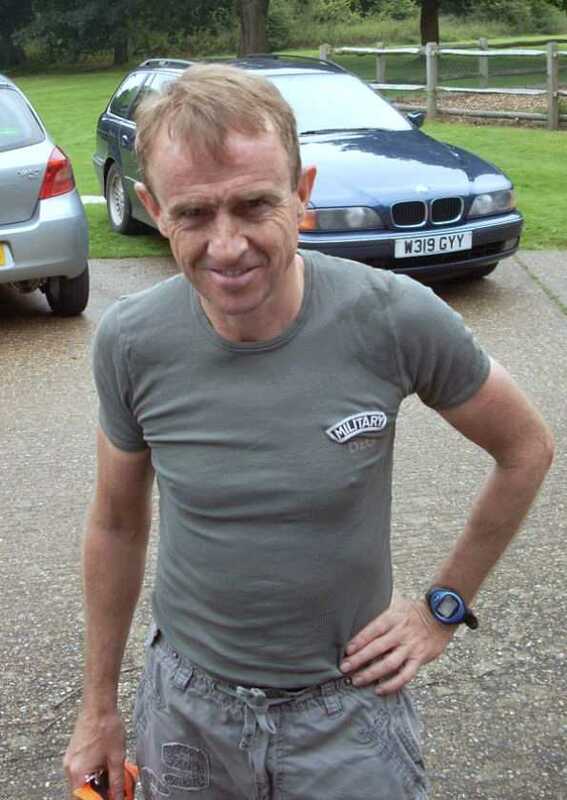 Prior to this, on the 8th July, he set a new 10 Mile TT PB of 26:49 at the GHS District Championship (London West) on the H2.5/20 course at RAF Weston on the Green. With the winter rapidly approaching, it will soon be time to dig out those old leggings and jackets, and patch them up for their umpteenth season's use. Don't worry though - there's an alternative. You can be both Comfortable AND Smart during the dark months by treating yourself to some of our fantastic new Club Kit (as endorsed by Nell McAndrew!). Struggling financially due to the increase in Energy Prices? Well, don't panic, help is at hand. Instead of sitting at home shivering, why not keep warm by joining in with our Tuesday Night Turbo Sessions! Starting from 23rd September, each week a structured work-out will prepare you for all of your goals, with sessions including pedalling drills, posture, speed, fast pedalling, strength, power and high intensity. All of these will contribute to your base ready for racing next season. Setup starts at 7:15pm for a 7:30pm start. We have around 15 turbo trainers at the clubroom available to borrow, so first come first served. You can however bring your own. Space is limited to around 18/20. Tea & Cake is available afterwards (Ann's World Famous Flapjacks are often featured) and in addition, you will have the opportunity to catch up with all of the latest gossip from fellow members. So don't waste your money on Heating Bills, come down to the Clubroom on Tuesday Evenings instead.